January is supposed to be the most depressing month of the year, but is usually a month where I ponder on all the opportunities that lay ahead- the large blank diary that sits on my desk is a physical manifestation of all those days on every page waiting to be filled. After the bustle of Christmas and the high exuberance of seeing in the New Year, I feel now is the best time to make plans, when everything is closed, it is too cold to go out and the spring flowers and bulbs are buried deep beneath the hard frosted earth. I find it heart warming to make plans about places I want to go and things I would like to do. Winter is a time for resting offering an opportunity to simply dream and plan. So many people are down on winter, but I think contentment comes from acceptance of what you can’t change and turning it to your advantage. It is about focussing on what makes you happy, so for me winter means cosy nights – snuggling on the sofa in my warm home while the rain drums on the windows and the wind sings round the roof. 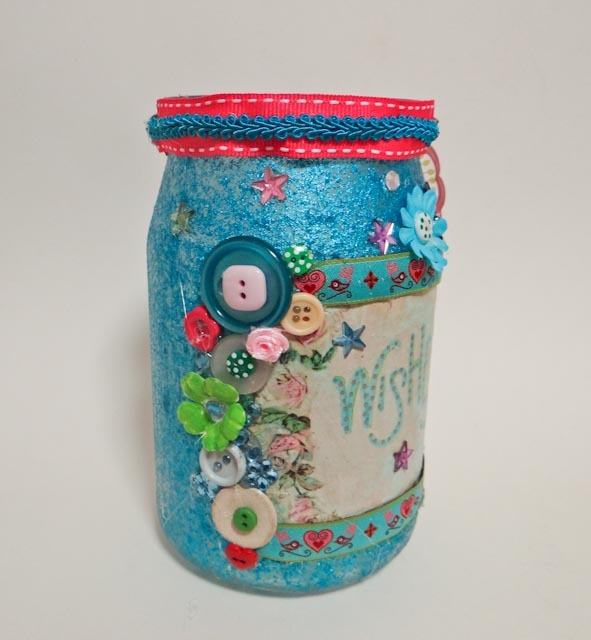 So I come to my wish jar – it was just an ordinary jam jar, but now it is a very elaborate one. It has no top for a reason, a magical element to it – it is about attracting what I want in my life, so no barriers or lids, I want to draw it all in. The idea is to fill the jar with things I want to do – this can be about life ambitions, or simply about gallery visits, or places of interest or even fun activities. So I have the John Soanes museum in there already: I have been meaning to go to the museum for ages but have never got round it it. Other things are shopping lists of plans I have for my home – I want a mirror wardrobe in the bedroom. The idea is that at least once a month or maybe once a week, you take out a wish and make plans and allocate time to do that – not necessarily there and then but book a date – then do it! If you can’t do it alone, get a friend to do it with you. Is it magical really? well I am not sure about that, some people would suggest that it is about ambition, focus – other people would say it is all about the law of attraction – I just know it works and I believe in it wholeheartedly. A couple of years ago I wrote that I wanted to be a published writer, and within a few months I just happened to go on an outing with a friend of mine – he was into photography and wanted to see an exhibition with some friends of his. Well they were nice guys, but very into the technical aspects of photography which left me a little bit out of the conversation – but I was enjoying listening to them. One of the guys suddenly sat down next to me and asked me if I enjoyed sewing – it was such a bolt out of the blue – completely unrelated to what we talking about. It turned out that his wife was an editor of a sewing magazine and she was looking for contributors. Within days I had met with her and talked about thirty ideas I had – three of which she commissioned – within a few months I saw my name and article in print and got paid for it. I don’t really mind how you see it, wether you think it is magical or not, for me I like to believe in a little magic, that somehow it is possible to draw things into your life that you want. I know that it all sounds very simple, but there is a flip side to this. It is called gratitude – it creates a connection and a joy of seeing the wonderful gifts that are given to us every day – sometimes all it takes is the ability to focus – have eyes to see them. The second is to be thankful – to send a message back of appreciation. 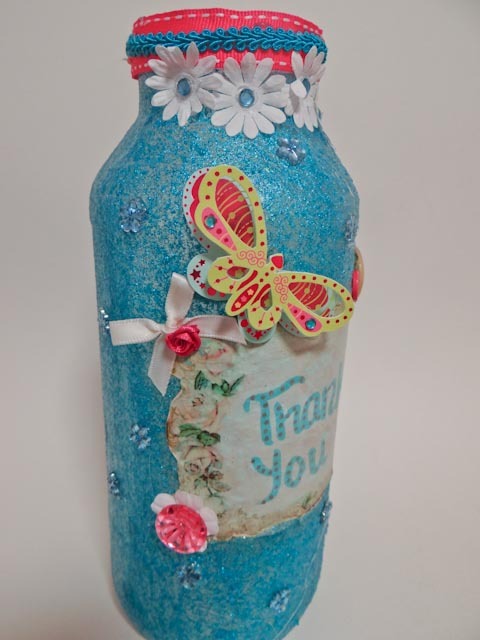 So I have a thank you jar – there are two lovely elements about this jar – who doesn’t like to be valued? A thank you is always something that shows appreciation and it also means that it is more likely to happen again – back to the laws of attraction. So it is also an invitation to the universe to send more! 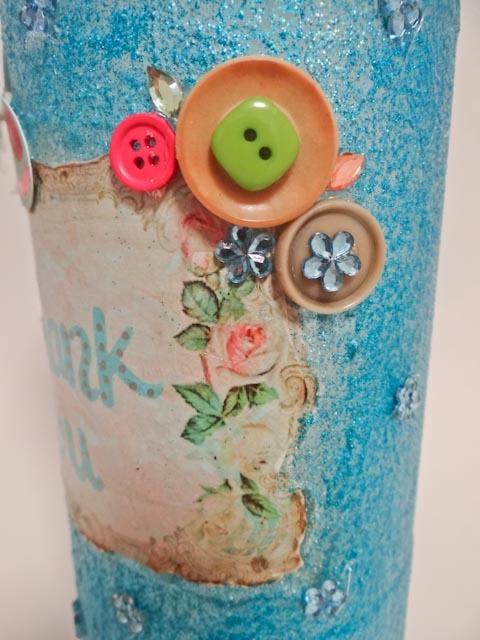 The second element to the Thank You jar is that when something lovely happens it is jotted down and put in the jar – so at the end of the year it gives a great record of all the lovely things that have happened. They can be simply getting great service, or the kindness of a stranger or the sheer joy of walking in the pristine white snow. What this exercise does is create positive memories of the year. There is a school of thought that time flies when as you get older, the theory is that it is unique experiences that embed in our memories – it is why we have so many childhood memories and so few after that time. Each new experience marks time so that by the end of the year we have packed a lot in – as we get older, our brains switch off from repetition so that there are no markers to look back on – hence time flying – a year can pass and we wonder what we did. Well this jar is a beautiful way to see how many blessings there are in your life – I expect mine is going to be full to the brim by the end of the year. It was such fun, I haven’t done painting for ages! 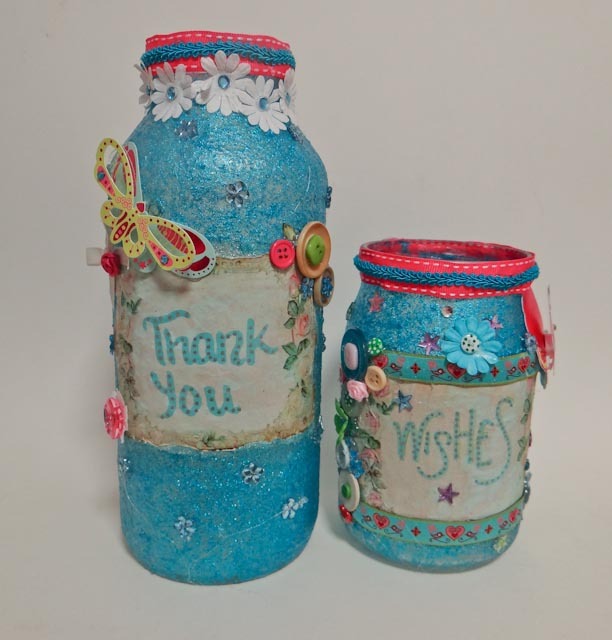 The jars are brightened up with a mixture of glitter and PVA glue – it usually needs a few coats with drying periods in between to build up the glitter. The objects are then just glued on using a hot glue gun! I have trouble stopping at this stage as there are so many opportunities for glitz! 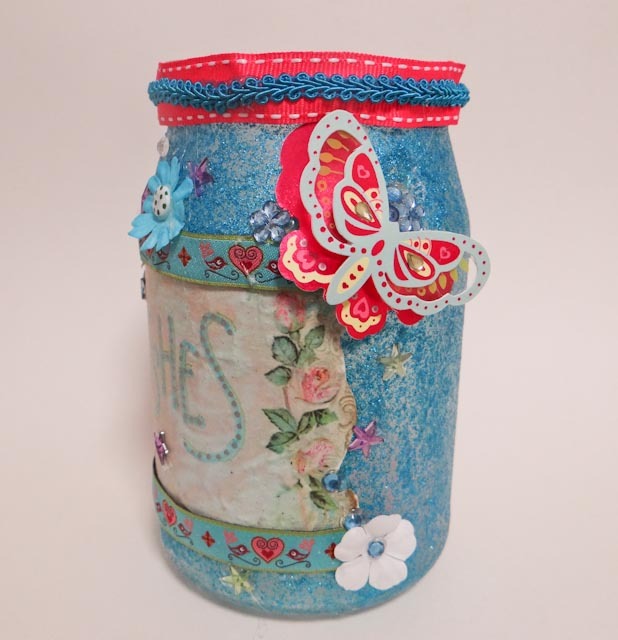 I used butterflies on each jar because for me they represent transformation. You can make one any time of the year, birthdays, holidays or simply wet wednesdays.